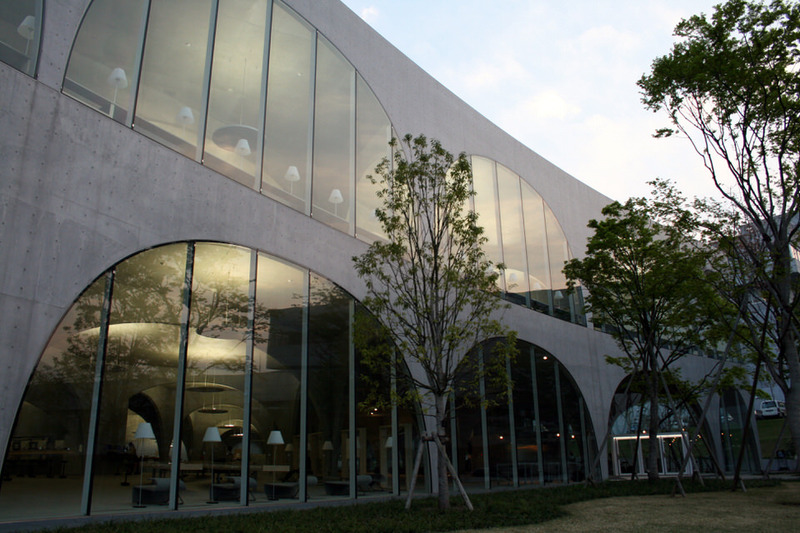 On this cool, spring evening we took our city walk to the Hachioji Campus of the Tama Art University to investigate the new library, completed in the spring of 2007. 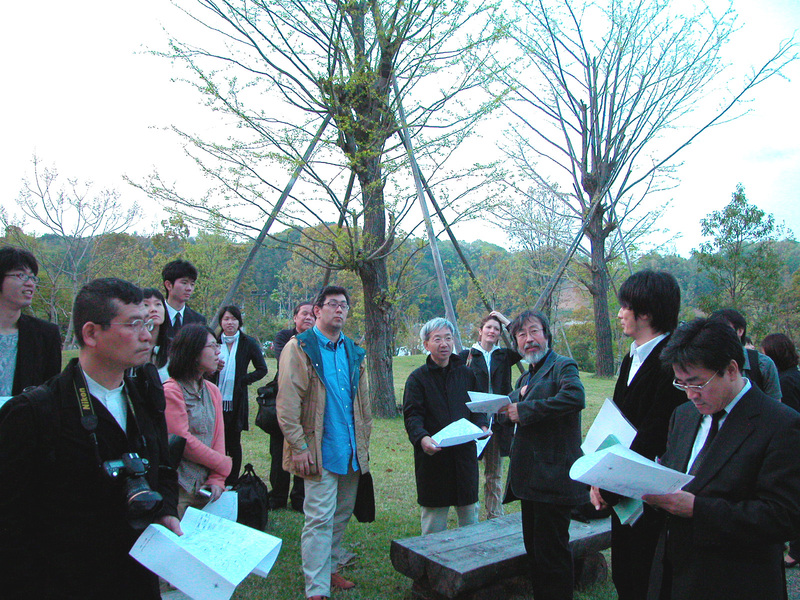 Professor Satoshi Tabuchi, who has been coordinating the architecture and general campus planning for the Hachioji Campus, was kind enough to give the lighting detectives a personal tour of the library and campus. Reading is the focus and concentration of a fixed line of vision over a long period of time and sharp shadowing can disturb this concentration. 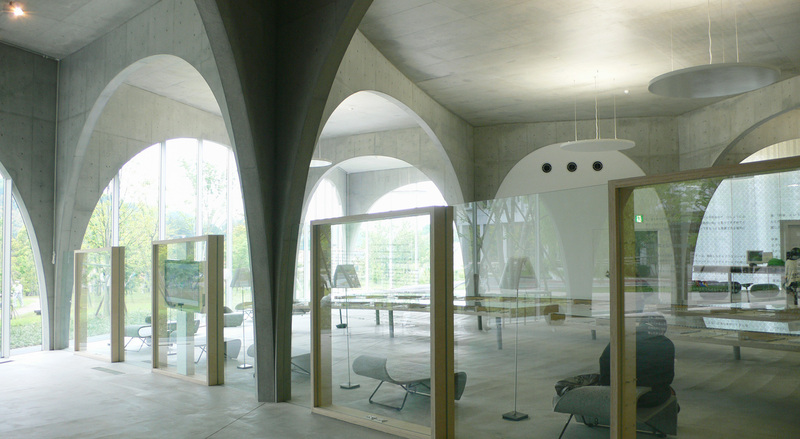 During the daytime, daylight creates soft shadows and a slightly changing atmosphere through out the library. 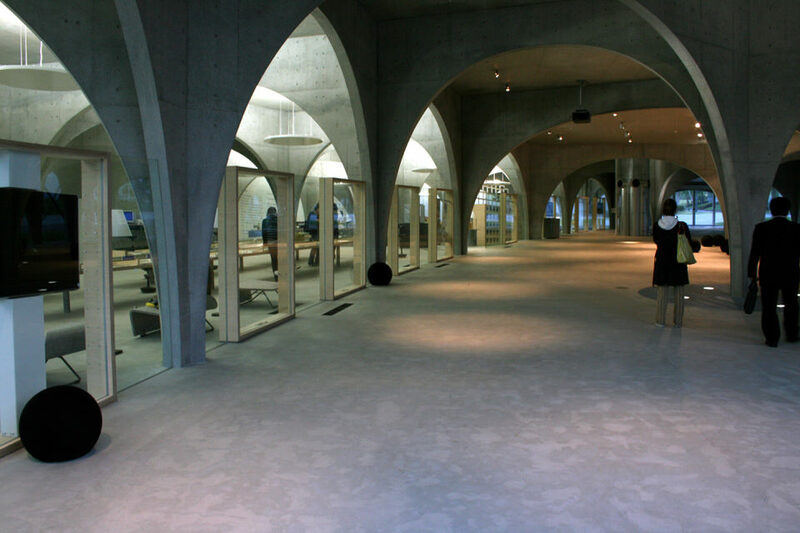 Natural light penetrates thin, white curtains helps to soften the lighting along the seating near the windows. The silhouette of the Zelkova trees and curtain pattern fall onto the desktop with spots of sunbeams that stream through the tree leaves to create a relaxing reading atmosphere. The indirect fluorescent lighting overhead reflects off the concert ceiling to recreate the impression of a cloudy day. 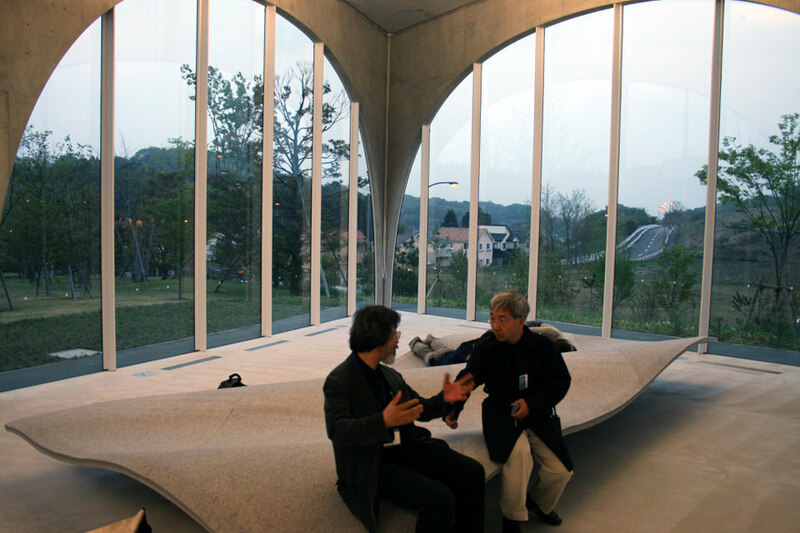 Each space seems very personal, like one would want to curl up by oneself with a book on a rainy day. These two types of light meet in a perfectly, soft gradation of light and shadow to create a very comfortable reading a studying environment. 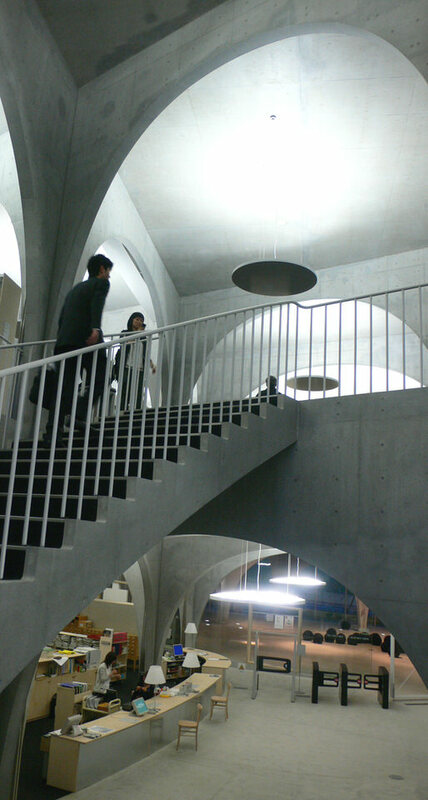 The sloping 1st floor and spiraling staircase to the 2nd floor is a design just begging visitors to move around and explore. It is a unique experience with discoveries to be found all over the library. 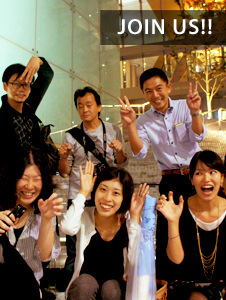 However, the indirect lighting was not designed to facilitate this movement. On the stairs the 1st floor indirect lighting is clearly in view and an obvious source of glare. For the lighting detectives with is a paradox. We are interested in not only appearances, but also the method and this was a great opportunity to view the lighting method involved. But for visitors this design is a source of unpleasant brightness and interrupts the view as they wonder through the building. 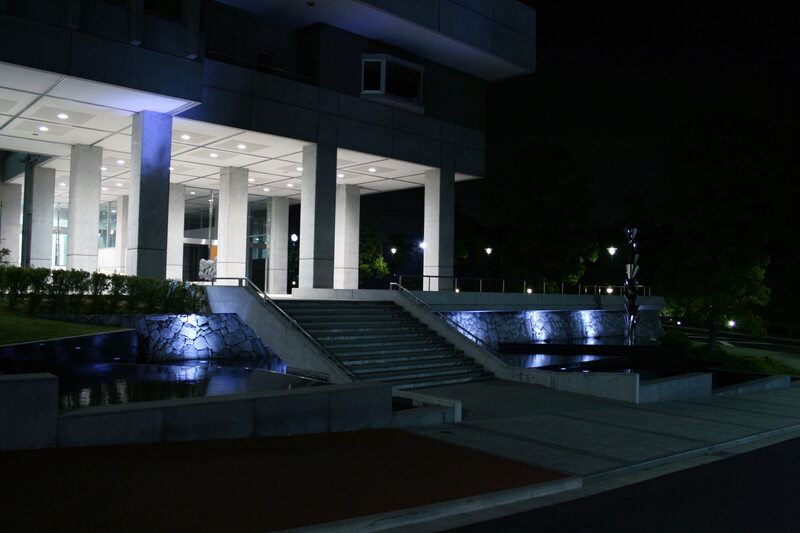 As a lighting designer I realized that from our everyday experiences, we have to learn to create lighting environments that consider all the elements, down to the finest detail. 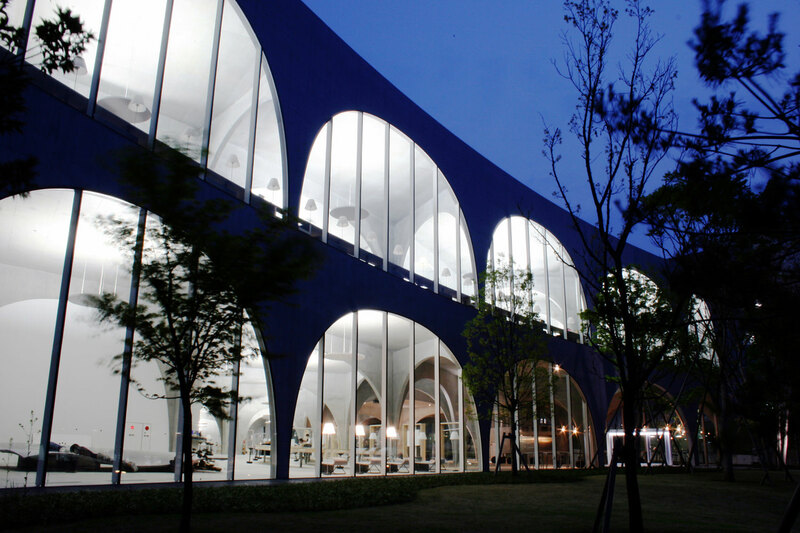 During the day the library absorbed plenty of natural light and seemed to blend into the environment, but as the sun went down, the fluorescent lights brightly lit the interior, pulling the building out of the black campus. If I were the designer on this project, I would turn off all the indirect ceiling lights, with only the warm glow from the desk and bookshelf tasks lights. 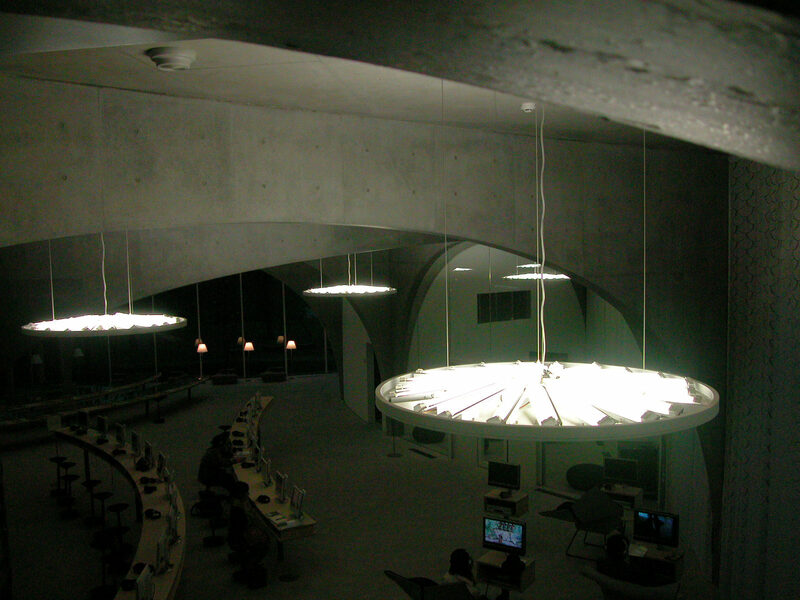 Students would have plenty of light for working at their desks, but the rest of the interior would reflect the blackness of the night outside. This is how I think we should greet the night, by blending in with it and getting lost in a good book. After visiting this library, I realized that there are two types of libraries: active libraries and storage libraries. 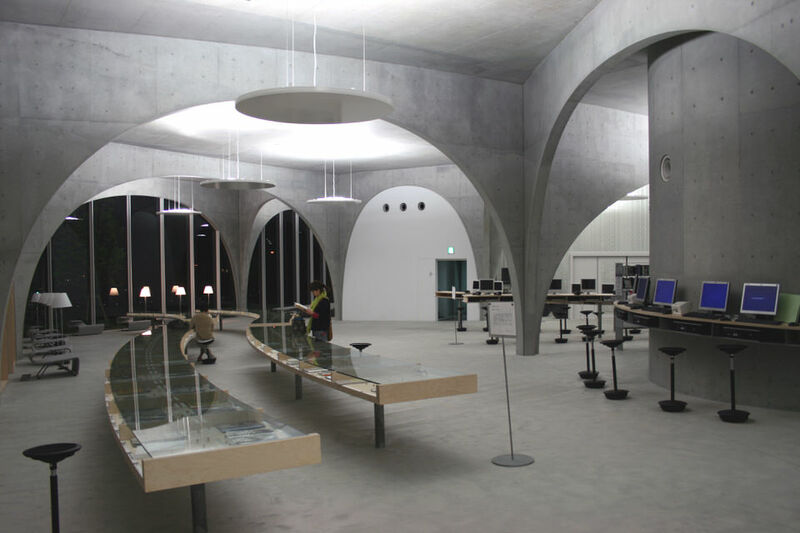 The new Tama U. Library is the former, a very active library. Wherever one would stop to read a look or do some work, there is always the right amount of light. All sorts of different information is orderly and very understandable. 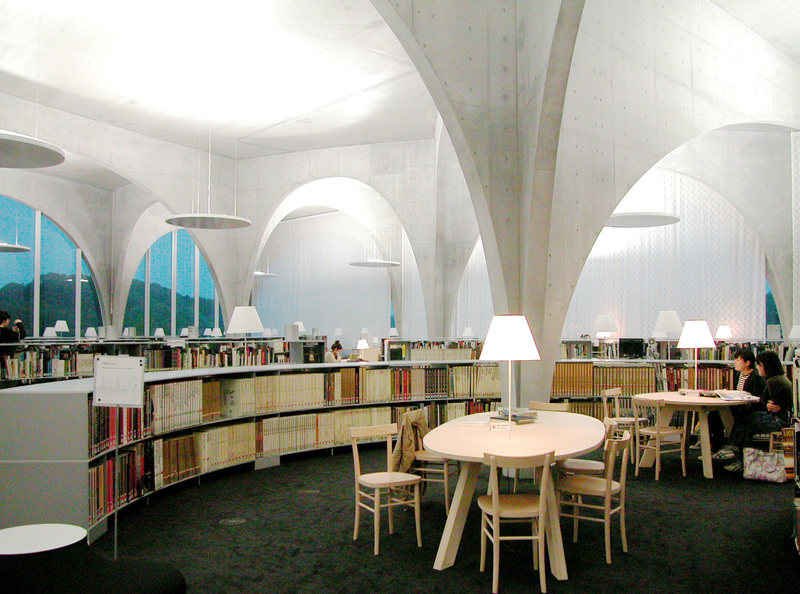 The books are arranged for easy access with a homogenous amount of light throughout the overlapping spaces. On the other hand, a storage library has the unpleasant image of a room with small, cobwebbed windows and rows of dust shelves. One might think they where hunting for books in a cave where something lies sleeping, buried beneath mounds of books. This is an image that needs to be put to rest, but a diverse, heterogeneous lighting environment is not such a bad thing.